Our waste solutions and technologies promote a better environment, improve recycling processes, lower transportation costs, and lessen the impact on our overloaded landfills. Brask specialists help streamline your waste processing operations and identify cost savings to improve your bottom line! We have been helping businesses plan, organize, & implement waste management strategies and waste handling solutions for over 50 years. We service all aspects of waste collection and administration, and can save you money in the process. 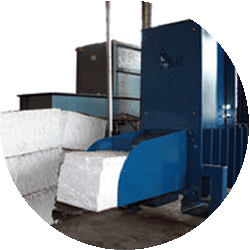 Our complete waste solutions include eco-friendly waste equipment for recycling, heavy duty trash compaction, EPS foam densification, and dewatering, solidification & de-packaging of wet waste material. We are just a phone call away! Our mission is to make your life simpler and minimize the frustration and headaches which often come from broken equipment, followed by the endless automated phone call. We offer a full line of top quality stationary compactors, self-contained compactors, transfer station compactors, hydraulic cart dumpers, and specialty compaction equipment. 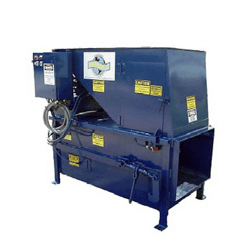 Our top quality waste compactors are built to withstand high volume and heavy duty industrial applications. Our full selection of cardboard baler equipment helps your business improve waste stream efficiencies and recycling efforts. 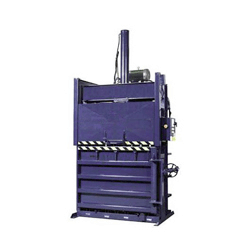 There are many models & types of cardboard balers available and our specialist work with you to determine which is right for you. High Density Extruders dewaters, depackages, and compacts in one process. 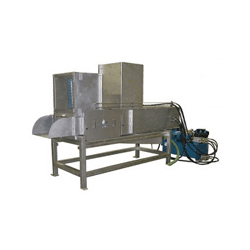 We offer the industry’s best dewatering technologies and wet waste processing equipment with our great selection of quality High Density Extruders. Many organizations have special needs that require special equipment. We provide various other offerings to meet those needs including pre-crushers, dumpers, chute systems, styrofoam densilier units, strofoam toothpaste units, construction compactors and more. We realize that organizations have different philosophies and needs on owning versus renting their equipment. Brask is able to offer the best deal to meet both needs. We do find many companies trending towards renting and here is why. Our Rental Program is your best alternative to capital spending and rising hauler costs. Changing haulers is a snap under the Brask Rental Program (you have a right to choose the hauler that bests suits your locations because our equipment is compatible with all haulers). We compact waste to save you hauls, and the hauler saves you money by hauling heavy payloads less often.